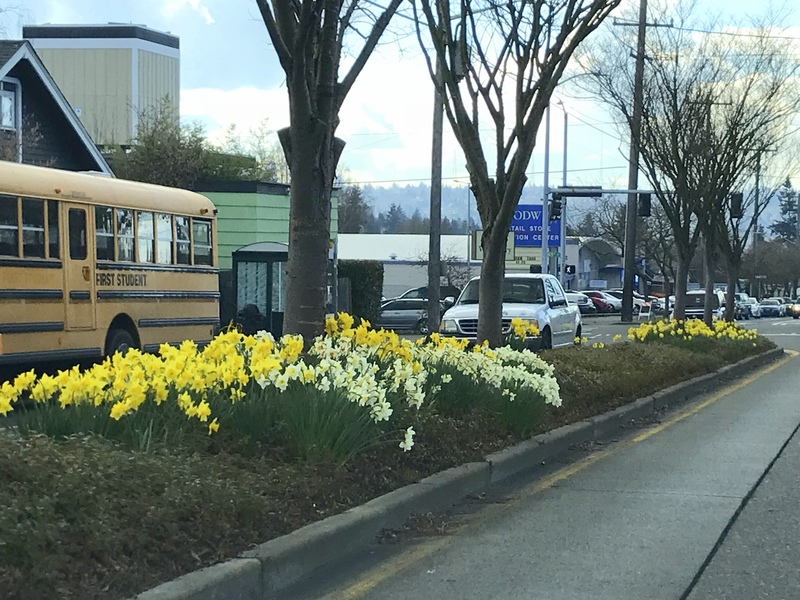 Spring has sprung and several blocks of the 8th Ave NW median, just north of NW 65th Street, are awash in bright yellow daffodils. It is a stunning scene for those of us who live in the neighborhood, but there is a profound story behind those beautiful blooms. I remember hearing the reason many years ago, but didn’t have the details, so I turned to The Seattle Times archive for an answer.